The University of Maryland Extension in collaboration with the Alliance for Green Heat developed several fact sheets on the topic of residential wood heating in the state of Maryland. The fact sheets in this five-part Wood Energy series are available for download. 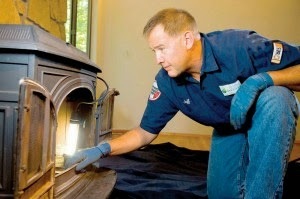 The Wood Energy Audit Checklist is mainly designed as a tool for energy auditors performing appliance inspections but also contains useful safety tips for homeowners with wood burning stoves. The checklist covers a number of practical topics, including stove and chimney maintenance and how to inspect for clearances. Buying and Storing Firewood & Pellets takes an in-depth look at how to buy firewood wood and pellets. 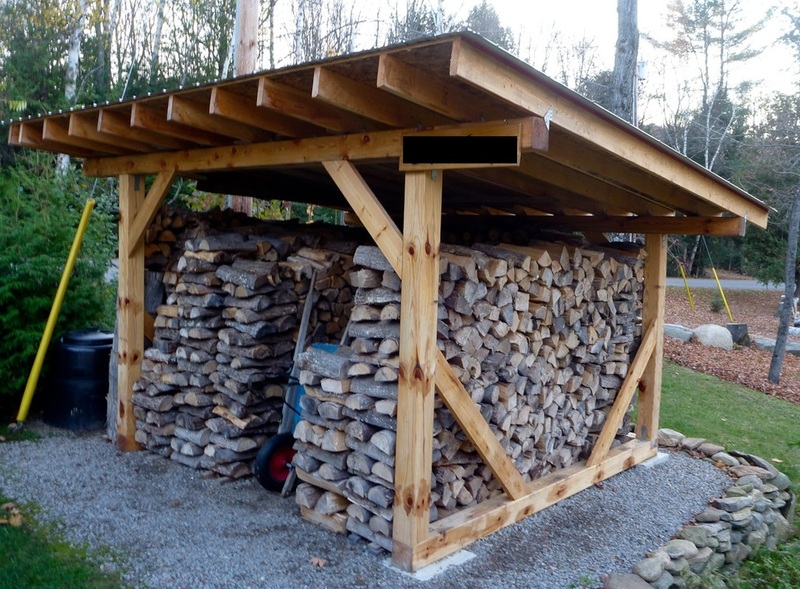 The fact sheet covers properly seasoning and storing wood. Nearly everyone who has bought firewood multiple times has been shortchanged. Even an experienced wood burner is likely to find something new and helpful in this guide. Buying a Secondhand Woodstove explores a widespread - but scarcely written about - practice of buying a used wood or pellet stove. It cautions against buying a secondhand wood stove that is not EPA-certified and offers other advice to consumers, including how to inspect a used wood stove for damage and what questions to ask the seller. How to Buy a New Wood Stove delves into the typical questions consumers have when beginning to shop for a wood-fired heater. 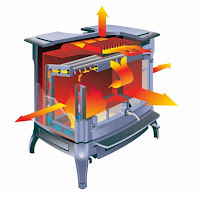 It covers what qualities to look for when purchasing a wood stove, such as sizing and EPA certification, as well as the differences between the various types of wood stoves (cat, non-cat, pellet and masonry), how to buy a wood or pellet boiler, and more. Considerations for Your Wood or Pellet Stove Installation explains the importance of having your stove installed professionally and pulling the required permits from both a safety and insurance perspective. It also discusses the appropriate clearances needed for combustibles, chimney, hearth pad and stove pipe options, and differences in pellet stove installation. The only difference? One is certified and the other is uncertified. No wonder consumers are confused. Vogelzang stoves are often advertised by saying they “meet or exceed EPA requirements.” So do Napoleon stoves. Yet the companies mean entirely different things. For Vogelzang, it means the stove is exempt or uncertified, i.e. it does not meet EPA emission standards. For Napoleon, it means more what it says: that it meets or exceeds EPA emission standards and is certified. The Alliance for Green Heat has been in conversation with US Stove Company, who now owns Vogelzang, for several months, urging them to change this misleading language. The Alliance believes manufacturers have to make sure that their advertising helps consumers understand what it means to be exempt, not confuse them. In response, Paul Williams, National Sales Manager for US Stove Company provided this statement: “We are looking into this issue further. I can assure you we will look at all our marketing strategies and will put our best forward for the industry, our company and the customer." The Vogelzang website also does not inform their customers that their exempt stoves cannot be shipped to Washington and Oregon states or to most of California. US Stove Company, the parent company of Vogelzang, does better. For their exempt stoves, the website simply states “EPA Exempt” and says that the stove cannot be shipped to Washington and California. While they omit Oregon, the information they provide to consumers is clearly better. The Alliance is also urging the EPA to provide guidance on how exempt stoves can or should be described. The Alliance for Green Heat began reporting on this issue in May of this year, with the story “Misleading Advertising in the Wood Stove Industry." Since then, the issue has not improved, but now the responsibility rests almost entirely with the Tennessee based US Wood Stove Company, having recently acquired Vogelzang. US Stove Company also owns Breckwell and distributes the Chilean Bosca stove line. Alliance for Green Heat, Sept. 14, 2012 - The Senate Committee on Finance marked up a bill last month dealing with the extension of energy efficiency tax credits, and included the $300 “25C tax credit” for home installation of biomass stoves and boilers. The bill, known as the Family and Business Tax Cut Certainty Act, would allow residential consumers to continue to be eligible for the tax credit until December 31, 2013, a two-year extension of the previous deadline. The bill could be passed by the full Senate in the lame duck session after the November elections and before the end of the year. Some similar version would also have to pass the House of Representatives and be reconciled by a committee representing the two chambers. Although aimed at encouraging efficient energy consumption, the bill’s vague efficiency standards definitions create what some may call a loophole for appliance manufacturers. The bill requires boilers and stoves to have a 75% thermal efficiency rating at the lower heating value (LHV); however, manufacturers are able to self-certify their efficiency using any of several formulas. The result is that virtually every pellet stove and EPA-certified wood stove on the market was claimed to be 75% efficient. This has little effect on increasing stove sales overall, but prevents the bill from incentivizing the most efficient stoves. The Alliance for Green Heat believes this is a disservice to consumers and ultimately to the industry itself, because consumers, regulators, and the renewable energy community do not see movement toward higher efficiency. The bill in its current version reinforces the image that wood stoves are a static technology that has not changed much in decades. The Alliance for Green Heat has decided to extend the registration deadline for the Wood Stove Design Challenge. Teams now have until November 1, 2012 to register their intent to compete using the form on our website. The due date for Challenge applications has not changed from December 20, 2012. Completed applications must be emailed to challengeapplications@forgreenheat.org by midnight. Judges will review applications and select up to 16 finalists by January 31, 2013. Judges are looking for finalists they think will bring innovative, clean and efficient stoves to the Decathlon, and will also take into consideration other factors such as diversity of stove designs. Contact challenge@forgreenheat.org with any questions. Expect more details on testing to be released soon. We are also excited to report that the number of teams competing in the Challenge has increased to twenty five. We also have seven entities looking to sponsor teams. Below is a map of the team's locations. Come See the Latest European Stove Technology at the DC Green Festival! For the first time, the Green Festival will showcase some of the most modern, efficient and clean wood heating appliances. Come see the types of wood stoves developed in Europe and are now available here in the U.S. One ties into hot water systems, one uses electronic sensors to optimize performance and one only needs to be loaded once or twice a day. Three different solutions to low carbon heating. Their innovative feature are now affordable and will allow you to use far less wood, while displacing up to 100% of fossil heating fuel. 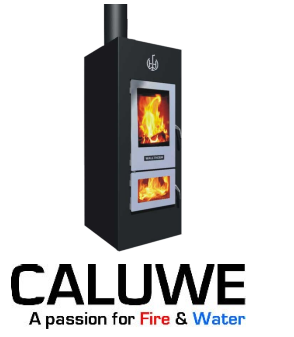 The Walltherm Konigsspitze sold by Caluwe is a super efficient hydronic heater/wood stove that emits around 30% of the overall heat into the room and around 70% of the heat goes into the home's water heating system. 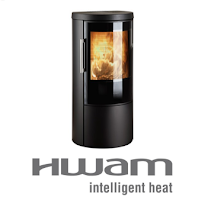 Danish company Hwam's Autopilot IHS technology is newly available for many stove models. HWAM Autopilot IHS controls combustion inside the stove automatically and allows you to set the room temperature to the required level with the help of a remote control, which tells you when to refuel your stove as well. 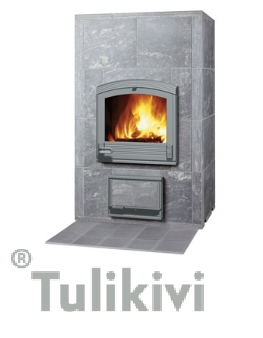 The Harmaja by Tulikivi is a masonry heater made from Finnish soapstone. It combines convection with radiant heat, capable of providing quick heat like typical wood stoves and releasing it slowly over time like masonry heaters. The Harmaja can heat a large area for up to 16 hours after the initial fire has gone out thanks to its 2000+ lbs of thermal mass. It also includes built-in grilling & baking rack. Join the Alliance for Green Heat at Booth #1508 at the DC Green Festival, Sept. 29, 10am-7pm & Sept. 30, 11am-6pm. The festival will take place at the Washington DC Convention Center, 801 Mount Vernon Place, NW. Admission to the Green Festival is free for bicyclists, youth 18 & under, members of Green America, Global Exchange, Sierra Club and volunteers. One day passes are $15 at the door or $11.85 online. Visit www.greenfestivals.org for more. 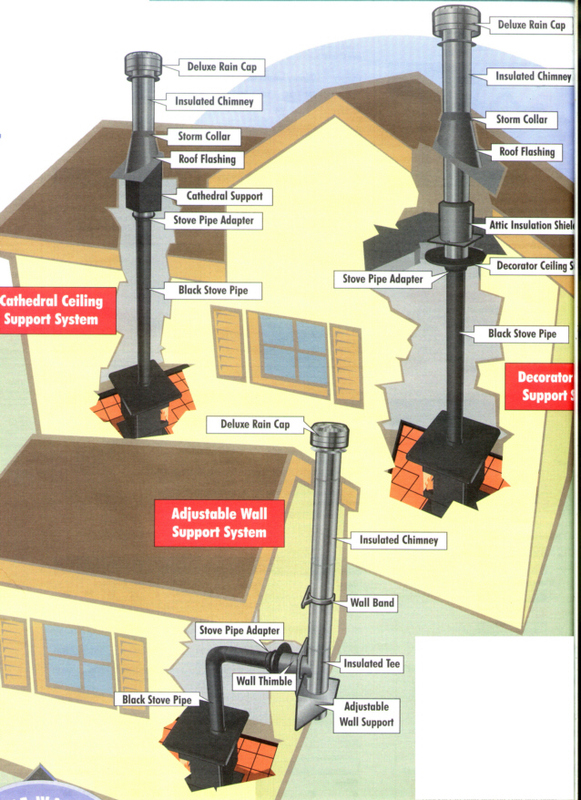 Keeping a chimney clean means a lot more than just using dry firewood. If you use a wood stove to heat your home more than once a week, you should really get yourself an EPA certified stove. Most EPA certified stoves emit an average of around three to four grams of particulates per hour, compared to 20-40 grams for the uncertified wood stoves made before 1988. Also, the EPA tells us that certified stoves are “50% more energy efficient” than uncertified stoves. This means, for example, that instead of burning wood at 50% efficiency, you could be getting 75% efficiency from your wood. Instead of sending smoke up your chimney, the most efficient stoves reburn the smoke before it goes up the pipe, either with secondary burn tubes or a catalytic converter. Smoke, after all, gives off plenty of heat because it has lots of Btus. On September 7, 2012, the Maryland Energy Administration (MEA) launched a pilot rebate program for some of the cleanest wood and pellet stoves available, marking the first time that a state has integrated wood and pellet stoves into a renewable energy rebate program. The pilot program offers a $400 rebate for wood stoves and $600 for pellet stoves. Wood stoves must emit less than half the particulates that are allowed by the EPA to be eligible. "We are thrilled that Governor O'Malley and Malcolm Wolff, the Director of the Maryland Energy Administration, extended the renewable energy grant program to appliances that low and middle-income families can afford," said John Ackerly, the President of the Alliance for Green Heat. The Maryland program is designed help families who do not have access to relatively cheap natural gas. The rebates are only offered to homes that heat with the most expensive fuels - oil, propane or electricity and who are typically in less affluent, rural areas. Delegate Heather Mizeur, who first introduced a bill in the Maryland House of Delegates to establish such a program last year, said "modern wood and pellet stoves offer rural families a way to participate in our clean energy future. For most Marylanders, especially those already coping with high heating and electricity costs, purchasing solar panels is out of the question." Full details of the program and the application can be found here: http://energy.maryland.gov/Residential/woodstoves/index.html. Wood stoves that are EPA certified and emit no more than 3 grams of particulates an hour and pellet stoves that emit no more than 2 grams an hour are eligible to receive a grant. Program funds are limited to $50,000 and available on a first come, first serve basis. The original bill was introduced in the Maryland legislature in 2011, and drafted with assistance of the Alliance for Green Heat. The legislature did not approve the bill because of the cost involved but it had broad support and the only voices against it came from the oil and propane dealer associations. Despite the legislature's inaction, the MEA working together with Delegate Heather Mizeur and other legislators, decided to implement it with their existing budget. As discussed in the October issue of Consumer Reports, there is no federal tax credit for wood or pellet stoves as there is for solar, geothermal and wind. And, the DOE and EPA have not developed a Energy Star program for wood and pellet stoves to help consumers identify the cleanest and most efficient units. "Wood and pellet stoves are the people's renewable energy device, and rural families have always been leaders of the renewable energy movement," explained Ackerly. "But little has been done to invest in cleaner stove R&D or to incentivize the cleanest and most efficient stoves. This rebate program is a step towards smartly deploying the cleanest stoves and makes Maryland a national leader in helping ordinary families affordably heat their homes." The Alliance created a Q & A about the program that addresses some questions consumers may have.